The Conservatory’s school year runs for 30 weeks, mid-September to mid-June. The Music Box is a great way to add lessons before or after the school year. It is sometimes hard to commit to a year-long of musical training without knowing what it implies concerning commitment and practice time a new teacher. This program lets you experiment to see if you are ready for a year of music lessons. Perfect for all holidays, birthdays, anniversaries, mom, dad, kids, employees, anyone! 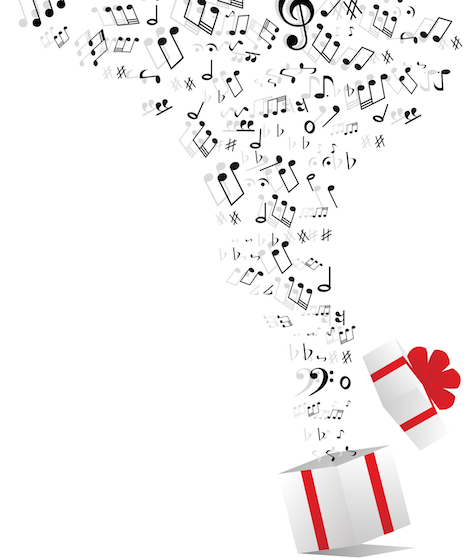 Just tell us how many lessons you want to give as a gift, and we will send you a gift certificate in the mail. Taking an exam is a significant feat for students to take on. It requires a real commitment from students, parents, and teachers. As the exam time approaches, some students will feel they need a little extra help before the big day. The Music Box lets you add 1 or more lessons to your regular schedule of lessons. Of course, students want (and need) a break. But while it might be a good idea to take a week or two off over the summer, it is not good to take the whole summer off. By the end of the school year, the student has learned new playing techniques and many other skills. None of these have become part of their long-term muscle memory yet, and stopping for months will take away from what they worked so hard on and have to relearn these skills again. Taking a few lessons over the summer vacation helps to keep the muscle memory and ensure the continuation of their progress. It also motivates students to practice over the summer months. The day and time of your lesson will be decided directly between you and your teacher. * SIGN UPS OPEN NOW FOR 2018-2019!